Thank you to Hero Arts. Hero Arts was Die Cut Divas' first sponsor and we thank them for their sponsorship in 2017. They are situated outside the city of San Francisco in Richmond, California. 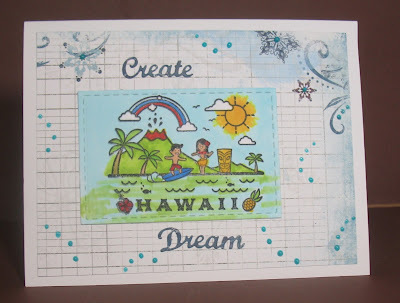 Arlene's card takes her to Hawaii, where she would love to spend some "thank you" time. Monika sends a "Thank you" to our sponsor and you can catch her at her blog here. Cindy would like to thank Hero Arts in the form of a tag. I made a simple card, but I think it turned out rather good. I really haven't used my Dylusions sprays very much and I had a go at it. I die cut some white card stock. taped the die-cut down with removable tape, started at the bottom with the lime, worked up with the blue and ended with the pink. 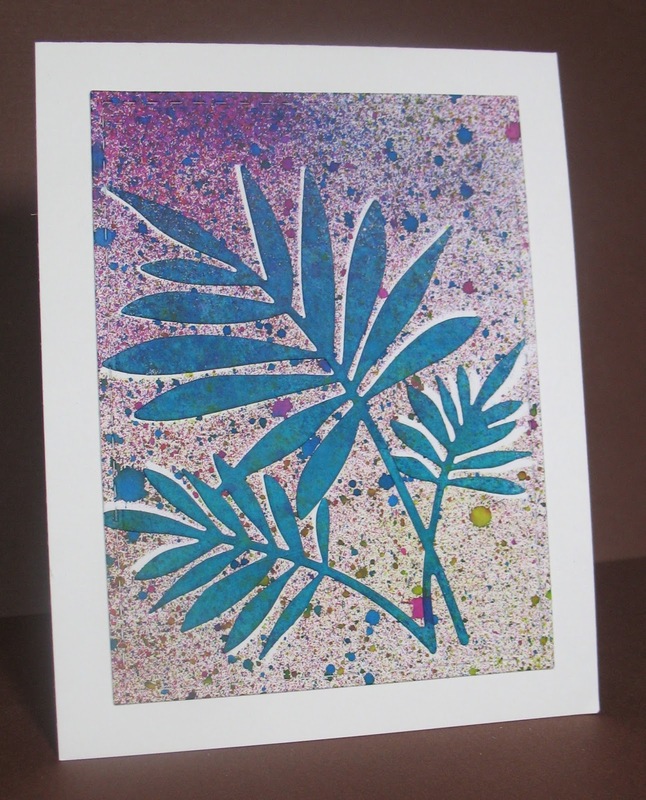 I pulled the die-cut up and decided to spray the palm with one solid color. I wiped excess off and let it dry. Since I wanted to leave some of the white behind it, I adhered the die-cut so peaks of white could be seen under the blue palm leaves. Hope you like it. 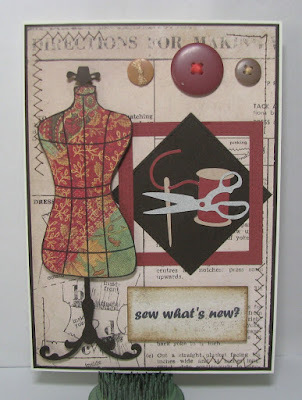 Cathie here with some more inspiration using Hero Arts Digital Kits. This time it is Christmas Swirls. You guessed it, I thought I would try and get the jump on my Christmas Cards this year, I say I will do this every year and never quite do it. I send out atleast 50 Christmas cards each year as I use it as an update and a way to reconnect with family and friends all over Australia. Until next time - have a great day! Monika here to share another "Red or Pink" project. Card decorated gold hot embossing, twine and foamiran roses. Come and join in to fun and make some "Red or Pink" projects!! Hello everyone! Can you believe we have a week left of Feb? My family and I are enjoying the unseasonably warm weather here in IL. 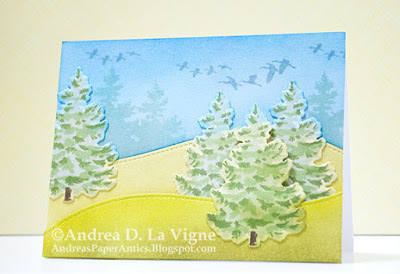 With the irony of the warm Feb weather, I've made a Christmas card. 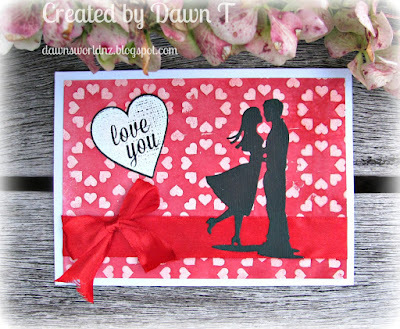 It played well with our theme of using red or pink. To see the detials on the card please stop by my blog Monica's Craft Corner. Can't wait to see what you all have to show us with your projects this month. Thanks for stopping by and have a great day! 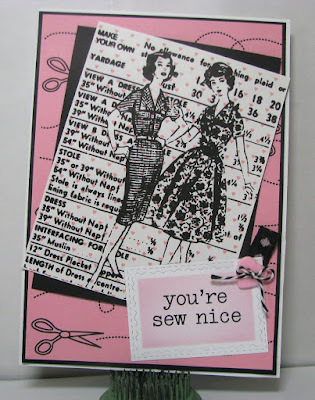 Today I would like to share a card I made "case-ing" Jennifer McGuire (her post is here). 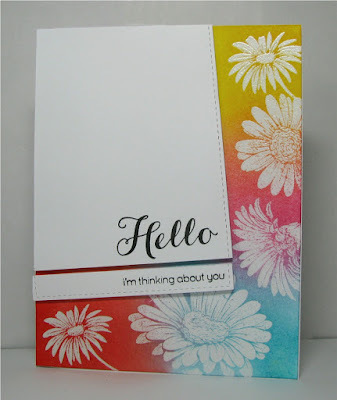 This card came together so quick, and uses the Hero Arts Hello Sunshine Daisies stamp set. I don't have any plain rectangle dies in my collection, so I used a stitched rectangle set from My Favorite Things, and I think it turned out pretty good. would be perfect for this. Cuttlebug Swiss Dots embossing folder. Hi there. 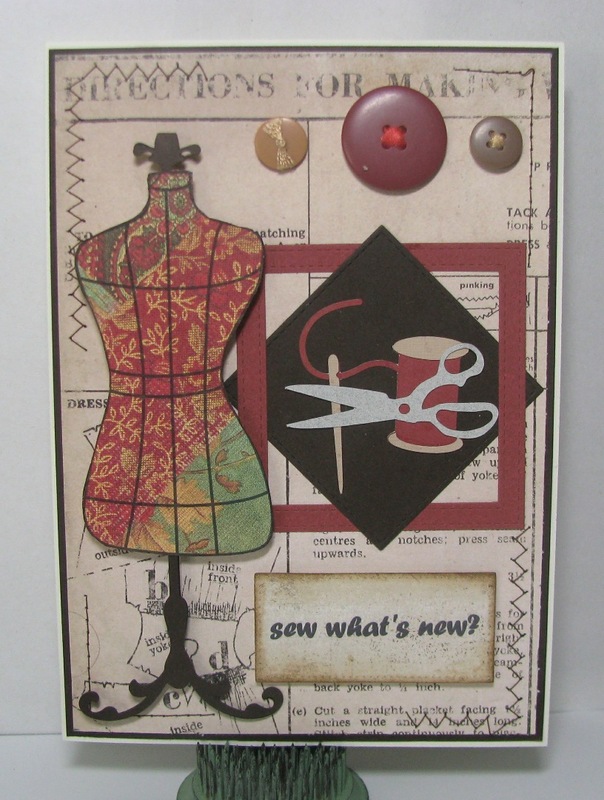 Dawn back again to share a card using our Sponsor's product.... and in this month's challenge theme... Using Pink or Red. We are lucky to have Hero Arts as our sponsor this month. One of our lucky entrants will win a $25 gift voucher to spend in the Hero Arts store... and how exciting is that. The wonderful Jennifer McGuire recently did a video showing all the latest release. SEE HERE. I stamped and coloured my butterfly with Copics and die cut him out. I added a lot of wink of stella glitter and used the excess pink on my brush to add to the centre of the embossed butterflies. 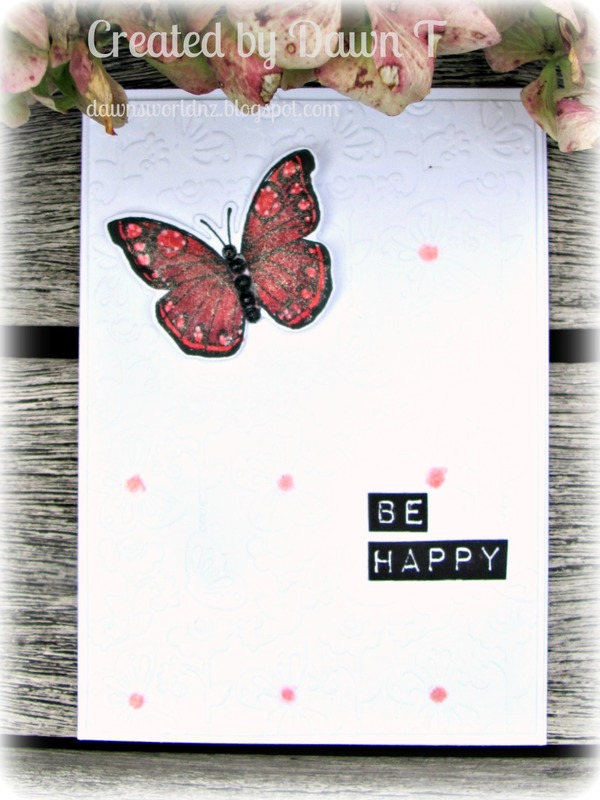 My sentiment comes from the Be Happy stamp set - another of my older Hero Art sets. Cindy here to share a classic Valentine's Day card. 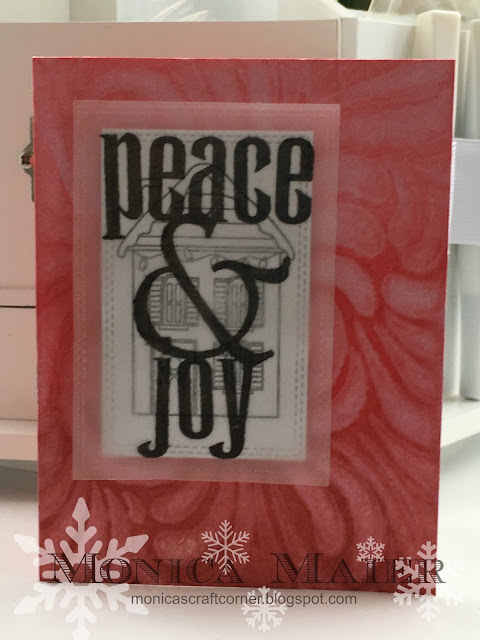 I received a lovely Cut and Emboss Folder (die cut and embossing folder all in one) for my Secret Santa exchange (Hero Arts Flickr group) from Heather; it is so pretty and I can't resist playing with it. Our sponsor this month is Hero Arts! And the challenge theme is Use Red or Pink in your project. 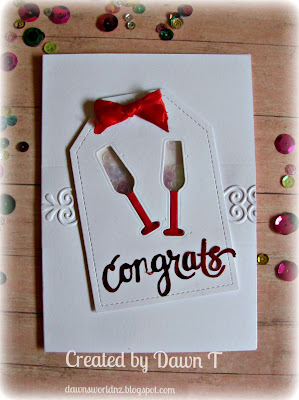 Stop by my blog, I have another card to share there created using the same Cut and Emboss Folder. Would love to hear from you. Good morning or evening... depending on when you may be stopping by. 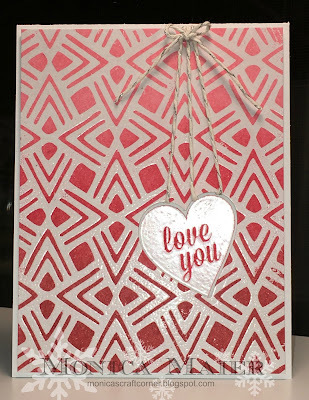 I'm here to share my first card for our February challenge- use Red or Pink. 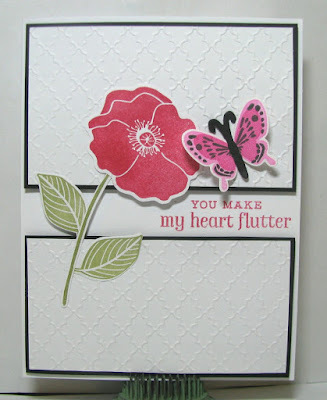 I'm not generally a fan of pink,but tend to use it for Valentines day cards. To see more info on my card please feel free to stop by my blog- Monica's Craft Corner. I had two very favorite stamps and dies sets from 2016. 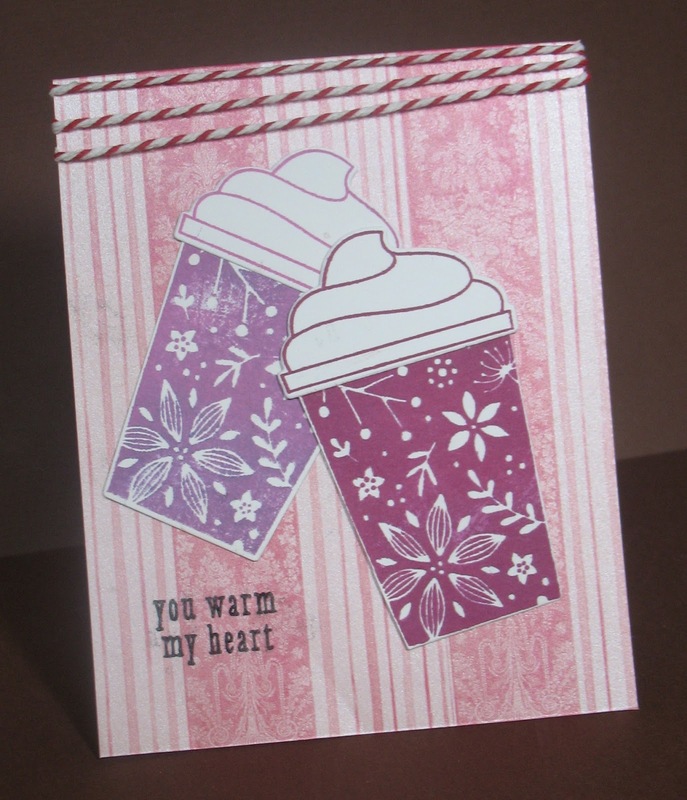 The coffee cups and cuts offer so many possibilities that I want to use them year round. 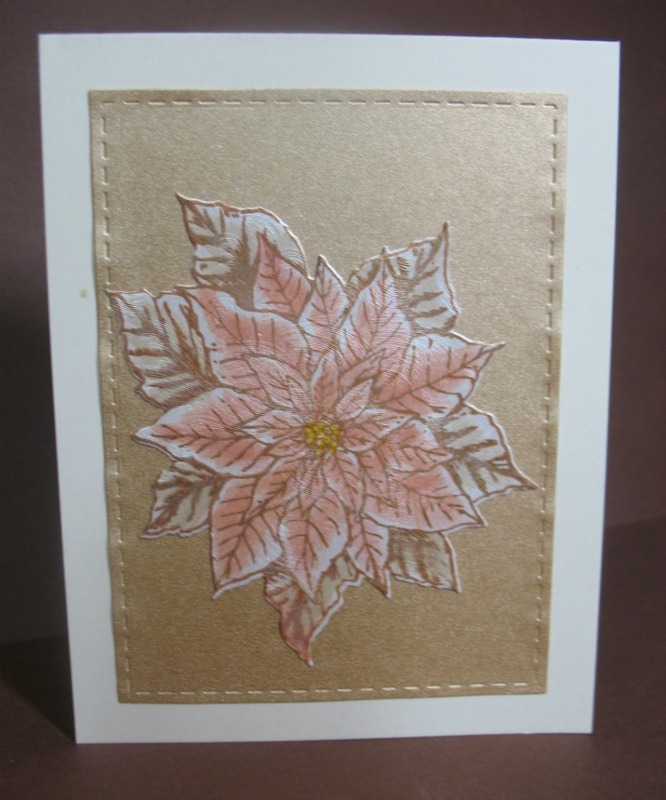 Then I couldn't put down this poinsettia stamp, either using it with the outline die or all three dies. 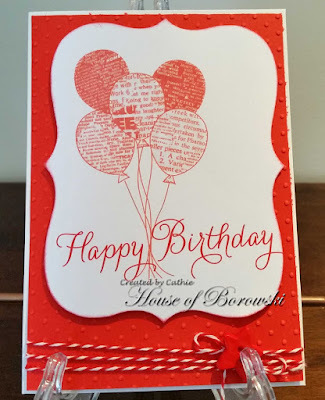 I've used this die on boxes and cards and am still loving the versatility. I guess I have a start on next Christmas. I kept it rather simple here. You can't see the paper I stamped this on, no matter how many times I tried to catch swirls in this swirly pearlescent paper. The honey colored panel is a bit shiny too. 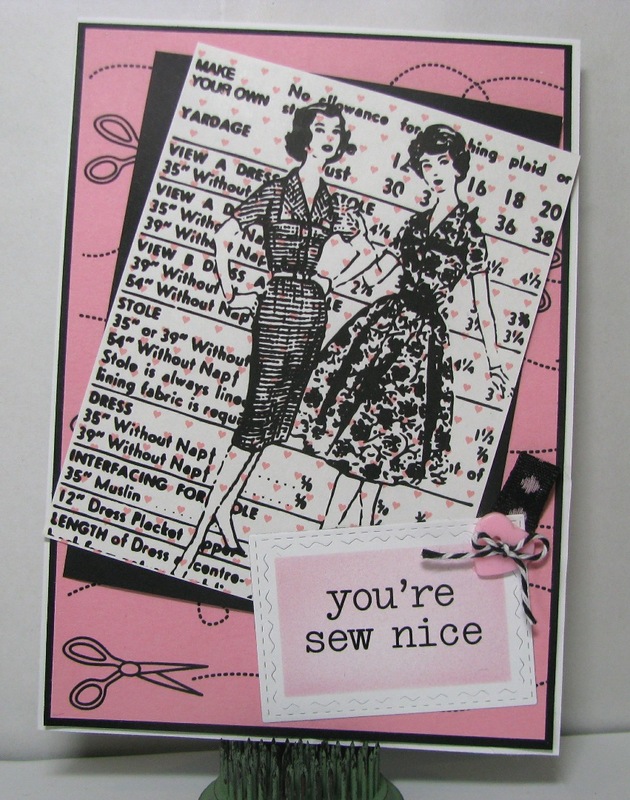 For more information on the materials I used on this card, please visit me here. I made a card for my secret friend. Card decorated gold hot embossing, pearls and foamiran roses. Congratulations Andrea. Please email the DCD's at the us at thedcdivas@gmail.com and we'll get your prize organisied. 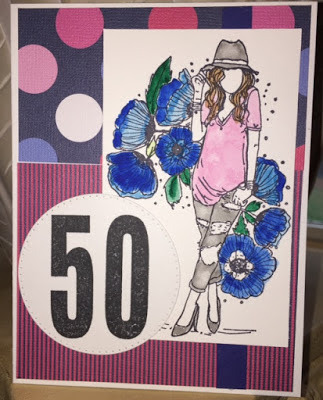 Cathie loved the gorgeous colouring and the technique of hanging your image outside your die cut. Cindy loved Sherri's clever using of number to convey message without stamping sentiment. 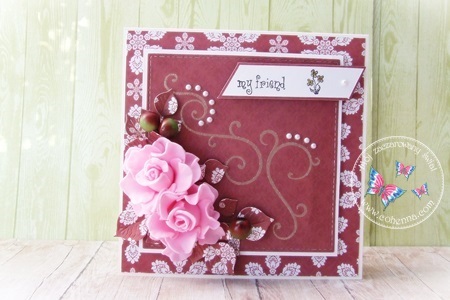 Arlene loves the enchanted feel of this tag by Simone. 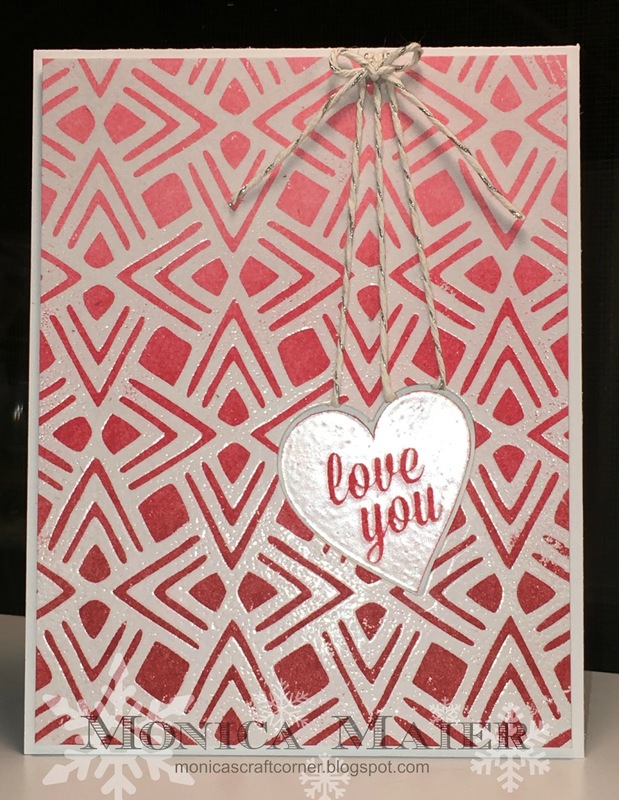 Monica loves the dimension of the heart and how the elements are put together on Linda's card. Thanks to you all for playing along with us. You are ALL winners in our eyes. Looking forward to seeing you join us again in our February Challenge. 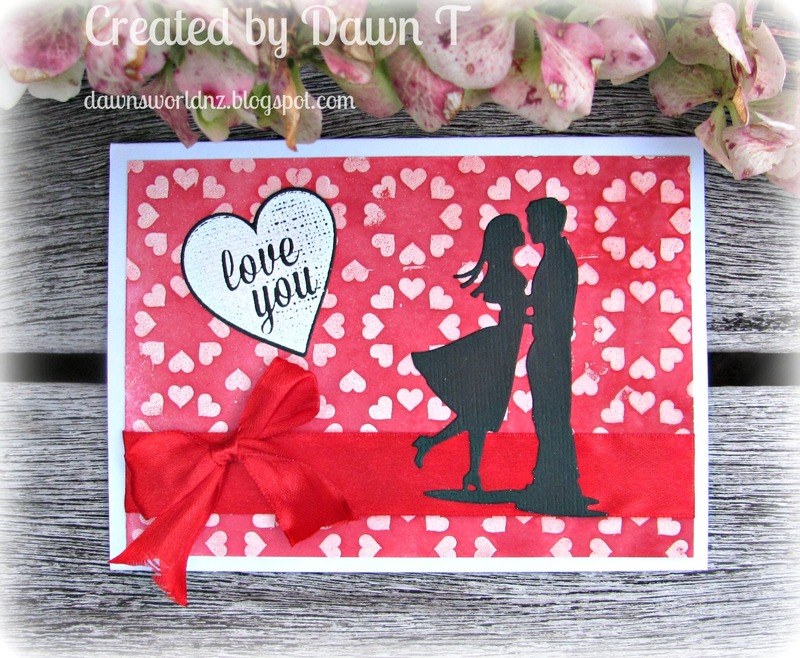 of Die Cut Divas when we first began our sponsorship program in February, 2015. February boasts Chinese New Year and Valentine's Day. 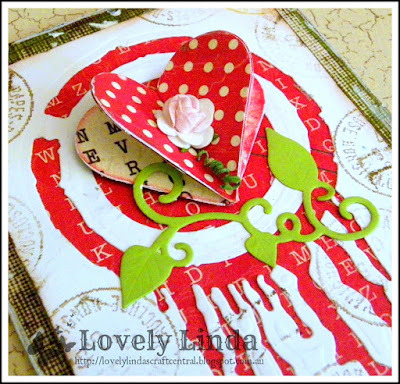 I didn't think I would limit it only to Red though, so the theme or challenge is use Red or Pink on your project. See our DT samples for inspiration. Arlene loves the coffee cup stamps and matching dies and has a second card showing you can use the dies for the summer.. See Arlene at A Bit of This and That. 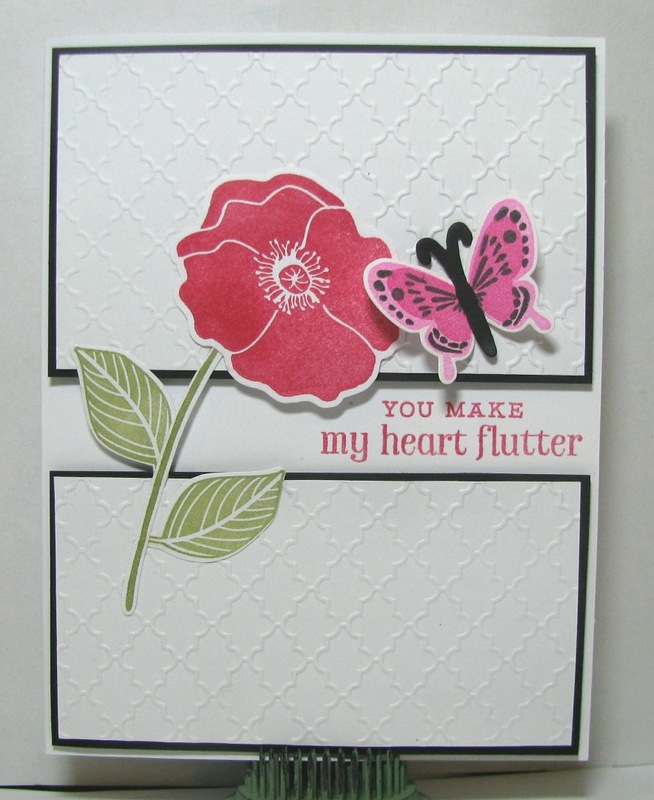 Michelle likes flowers & butterflies, so this is perfect for her at Just A Nutter Paper Crafter. We look forward to having you join us. 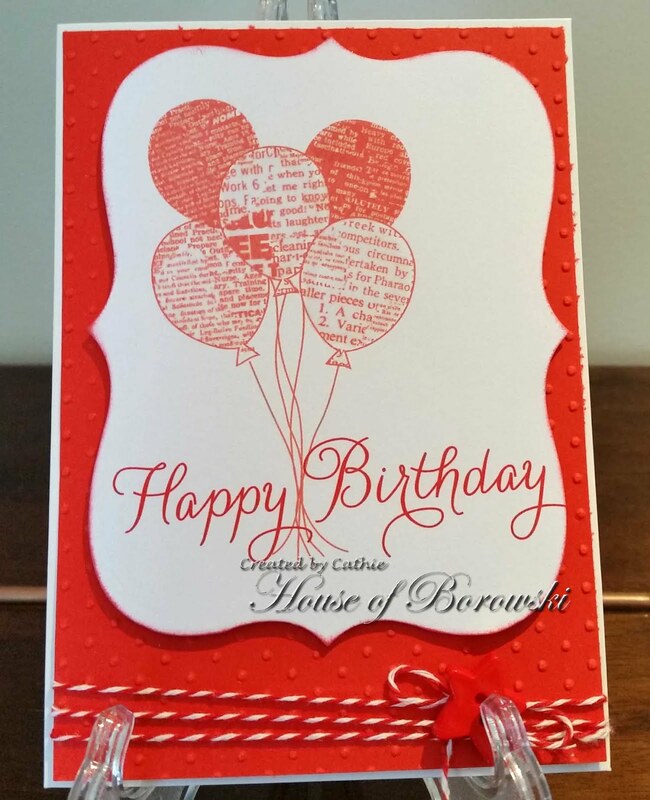 Don't forget you must have used your Die cutting machine to either die cut or to emboss with. And check out our rules HERE.